Some people feel skeptical about using oil to cleanse their skin and they fear that the skin will become overly oily. The opposite is true. Natural oils balance your skin and get rid of the excess bad oils. The method is applicable to all skin types; you just need to play with the oil proportions to get it right for you. Find out about the ins and outs of oil cleansing, what oils to use and how to mix them. Oil cleansing uses specific combinations of natural plant oils to clean and balance your skin. It is usually used for your face and can be combined with gentle steaming. According to a review of medical studies published in the International Journal of Molecular Sciences, topical application of plant oils has numerous benefits. The medical review found that applying plant oils to your skin can promote wound healing, has anticancer properties and can protect from oxidative damage. Another medical study concluded that commercial facial cleansers “remove skin components, penetrate into skin, alter skin structure, and therefore degrade skin barrier functions and lead to clinical and subclinical skin conditions.” The study highlighted the importance of maintaining the skin barrier during cleansing. One scientific study found that a topical application of natural plant oils can repair the skin barrier. The study looked at various plant oils such as olive oil, olive pomace oil, sunflower seed oil, coconut oil, safflower seed oil, and argan oil. Why is it important to cleanse your face? A medical study concluded that facial cleansing is effective at deep-pore cleansing, which may help to manage some acne-associated symptoms. 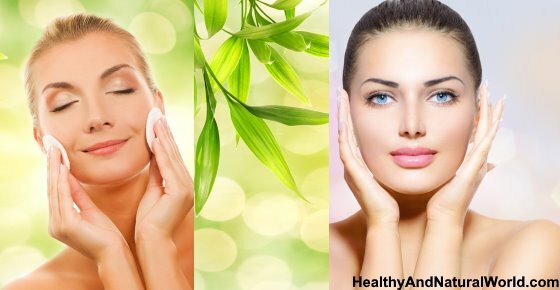 Unlike commercial soaps and facial cleaners, natural oils don’t destroy the skin’s innate protection mechanisms, but promote self-healing and cleaning. When you apply mainstream skin care products, they aggressively strip the oil (sebum) out of your skin. Your skin – the body’s largest organ – tries to over-compensate for the loss and produces even more oil, making your skin look greasy. As a result, you use even more of the drying products, creating a vicious cycle. On top of that, cosmetic products come laden with all sorts of fragrances that often act as irritants and deepen the problem. As strange as it might sound, when you apply a natural oil to your skin, the skin actually becomes less oily. Oil dissolves oil. This follows one of chemistry’s basic principles: like dissolves like. If you use the right oils, you will help remove the dirty oils and cleanse your pores of dirt and bacteria. The eliminated oils will be replaced by healthy oils, which will help nourish the skin. Natural oils also balance the skin’s pH, which makes this method so successful in the long run. There might be an initial adjustment period when skin looks worse after using the oils. But this is just a part of the detox process and doesn’t mean that the oil treatment isn’t working. On the contrary. Different vegetable oils can be used, and some of them you probably stock in your kitchen or medicine cabinet. Castor oil is excellent at pulling impurities from the skin and for improving your hair as well. It needs to be diluted with some other oil or it will dry the skin. If your skin is already dry, you can still use castor oil, but you just use less of it. Some are concerned about the castor oil plants unsustainable growing practices that expose workers to toxins. If that is the case, you can also use hazelnut oil as a replacement. You can also use hazelnut oil to naturally cure scars. Oils are mixed in different ratios depending on your skin type. See below for details. It will take a bit of experimenting to get the mixture right for you. Every person’s body is different. You can make smaller batches at first, and make necessary adjustments until you get your perfect formula. You can also buy your oil. The ones sold in the shops are usually a combination of botanical oils (olive, sesame, sunflower, grape seed, almond, safflower), an extract (jasmine, green tea), and/or vitamins A and E. But that will of course make it a lot less personal, possibly less natural and more expensive. It’s most practical if you do this in the shower or at the bathroom sink. Also watch the video at the end of the article. Pour a generous amount of the oil blend in your hand and massage into the skin. You don’t need to wet or clean the face first. The oil will remove all dirt (including makeup). Massage until you feel the skin is saturated with oil; you can even leave it on for 10 minutes as a mask. Place clean washcloth under very hot water, soak it and wring it out. Put the washcloth over your face and leave it there for a few minutes (until it cools). This will create a steaming effect and clean the pores. Wipe the oil gently away and repeat two to three times. Don’t scrub, just let the steamy washcloth remove the oil. It’s OK for a thin layer of clean oil to remain on the skin. If your skin feels slightly dry at the end, you can use a drop of your oil mixture as a soft moisturizer. Typically, no moisturizer is needed. Your skin should glow now! It is best to do your cleanse in the evening, before going to bed. Some suggest doing it daily, while others prefer to do it less frequently to give the skin a chance to react and balance itself. It is very important for the health of your skin to drink enough pure water. Sometimes skin impurities will reduce if you just stay hydrated and flush the toxins out. You won’t achieve perfect skin overnight and a few treatments will probably be needed before you see positive results. Allow some time to create your personal oil blend. Combine your oil cleansing with some gentle facial massage and relaxation time. after removing oil mixture on my face, do I need to wash my face using my facial wash? Hi Alice, you use the steamy washcloth to remove the oil and wipe it out and it’s OK for a thin layer of clean oil to remain on the skin. You don’t have to wash your face with your facial wash (unless you want to). I have been using coconut oil daily to cleanse and remove my makeup followed by a few drops of a 2 oz grape seed oil/ 12 drops of tea tree oil mixture as a moisturizer for about 1 month now and my skin has completely transformed. My roseacea is so much better, my skin accepts make up so it looks natural now instead of just sitting atop it, and if I happen to get a pimple it clears itself up by the next morning. I am a true convert to using oils. I do look forward to trying a castor oil combination to see if I can improve upon my regimen. Thank you! Is argan oil any good to use? Hi Barbara, Argan oil is very good for the skin (and you can read my article How to Use Argan Oil for Great Hair and Skin), it’s just that it’s quite expensive, so if you want a more affordable oil, you can use one of the other options mentioned in the article. my skin is fully sun burned so which oil will be beneficial for me? Coconut oil, jojoba oil, calendula oil and rosehip seed oil are good options (you can add to your chosen oil a few drops of lavender essential oil). Another good option is to apply pure aloe vera gel or pure honey. When I was first told to try oil as a cleanser I thought it was the craziest thing Id ever heard of. Now, after about 2 years of oil use, I would never even consider using the old products (that I believe were causing imbalances from breakouts to extreme dryness). I use many oils but really love apricot and coconut. Ive recently been studying essential oils and have added those to my base oils for added benefits, like lavender to relax the skin tissue and reduce redness or rosemary and tea tree to help prevent breakouts if I’m stressed or approaching my cycle and my hormones want to freak out. Also, if anyone has some crystallized honey, it makes for a fantastic scrub! Plus, its antibacterial and antimicrobial, so extra benefits there too. I only do a scrub once a week to every other week though as it can be drying to the skin and I usually apply some aloe to tighten up the pores afterwards. Just my experience and some other tips! Great video and I hope more people try it! Can i do this oil cleansing everyday since my face is quite oily? Hi Amy, you can try the blend for oily skin – Some suggest doing it daily, while others prefer to do it less frequently to give the skin a chance to react and balance itself. You will need to experiment to see what works best for you. Perhaps don’t start straight away with a daily routine, but maybe 2-3 per week. Hi! Just found your website and learnt alot about using essential oils. I’m having breakouts on my face after i stopped the pill. Thinking of using this oil cleansing method. Do I need to add in tea tree oil or lavender for the acne? I am considering doing facial steaming after cleansing my face, maybe adding a couple of drops of lavender oil into the water, as I heard that this can help acne as well. May I know your opinion on this? Hi Jo, it is best to add the essential oils to the oil mixture itself and apply on the face rather than using them as a facial steam. Steaming is better to relieve respiratory issues for example or sinus infections, but for acne it’s best to use essential oils as a topical application. You can see more information in my article about The Best Essential Oils for Acne. Can I use a mixture of olive oil and coconut oil in half parts instead of caster/hazelnut oil? those are difficult to get by here. I started oil cleansing 2 years ago. I have had acne prone skin for many years with scaring. Acne products dried my skin and made aging worse. I’m finally happy with my skin. I get few pimples now, my skin tone is even, and some scaring has vanished. So many more benefits! It does take time to adjust to specific skin needs. For the oily skin blend, does it make a difference whether I use extra dark jamaican black castor oil? Or does it have to be the regular one? Other than color, I’m uncertain as to whether there’s a difference between the two. Hi Cari, Jamaican black castor oil (JBCO) has become a very popular oil to use on the hair and skin. The dark color of JBCO comes from the ashes of roasted castor oil seeds being added to the oil. Jamaican black castor oil is just as great for your skin as regular cold pressed castor oil.